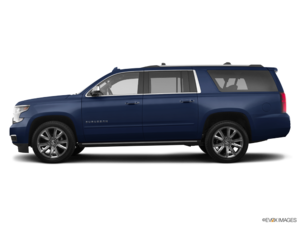 The 2018 Chevrolet Suburban is an American Original, offering everything that you can expect and more. With a luxuries exterior and a wealth of excellent performance-enhancing features, as well as a powerful engine, the 2018 Suburban takes command whenever it hits the road. Continue reading to learn more! The 2018 Chevrolet Suburban is a vehicle designed with power and performance in mind, and nowhere is this more evident than its powerful engine. The new Chevy Suburban is fitted with an impressive 5.3L EcoTect3 V8 engine, which can deliver 355 horsepower and 383 lb-ft of torque. This allows the 2018 Chevy Suburban to tow up to 8,300 lbs, making it the equal of many powerful pickups on the market today. In addition to all this power, the 5.3L EcoTect3 V8 engine also has excellent fuel efficiency, offering an EPA-estimated 23 MPG on the highway! To complement its powerful engine, the 2018 Chevy Suburban also has a wealth of great performance-enhancing features. One of these features is the available Magnetic Ride Control, a real-time dampening system that gives you a smooth, precise ride by “reading” the road around your vehicle. This can change the dampening of your vehicle to accommodate in just 10-15 milliseconds. Another great performance-enhancing feature available with the 2018 Chevy Suburban is a Z71 Off-Road Suspension, which is part of the Z71 Off-Road Package. This package is designed with performance off the beaten path in mind and is highly recommended for those that want to forge their own path. So, if you’re looking for a vehicle that designed with performance in mind, look no further than the 2018 Chevrolet Suburban. With a powerful engine and wealth of performance features, you certainly won’t be disappointed. For more information, or to take it for a test drive, contact us at Lanoue Chevrolet today!